WARWICK, UK, July 1, 2018 – the international boardroom development company, Eskil (https://www.eskil.co) has signed papers with the Egyptian business consultant and L&D professional, Ahmed Reda in the role of Associate Facilitator. Ahmed has over a decade’s experience in the field of L&D and this positions him will as a consultant working with colleagues in Eskil Middle East Learning & Development. He joined MSA University in 2014, working in the Training and Organization Development department where he started to utilize his diverse background in training including designing materials and training development. He currently holds the position of Senior Learning and Development Supervisor as well as acts as a Corporate Business Consultant for multinational companies. Prior to MSA, Ahmed has held positions with Dale Carnegie Training and New Horizons. 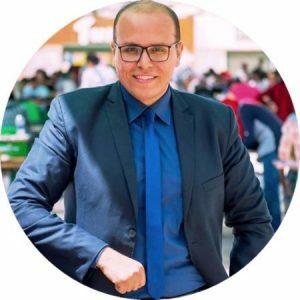 We had worked with Ahmed on a series of conferences and workshops in Egypt and knew of his reputation as an engaging and effective professional. 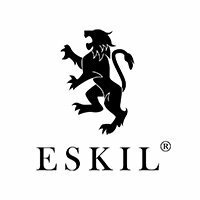 His outlook and creative talents are a fantastic fit with Eskil as we strongly believe that people learn more through activity and play. Ahmed has trained, coached and consulted with over 20,000 people in more than 50 corporations with different backgrounds. In addition, Middle East clients are able to access Ahmed’s experience in training delivery, training needs assessment, course instructional design, material development and business consultation. When we first heard about Ahmed, we knew that he had the right kind of skills, experience and personality for our business. We particularly like his approach to business as it is the same as ours: we learn through play. Our business games and serious games fit well with his own extensive experience in the local market. He will be a valuable Associate Facilitator to Eskil.